Shock may be the first reaction many women feel when they have been told that they require a hysterectomy. However, most women will differ in their reactions to information such as this. Unfortunately, it is difficult to adequately prepare anyone for the many complications which may arise from such a major and invasive surgery, even with the most thorough counseling available. The strain of having the uterus removed and being left to manage the complications from the surgery can be difficult on a woman’s mental, emotional, and physical well-being. There are numerous reasons why a woman may need to have her uterus removed. It is ultimately up to the individual woman to weigh the reasons and make the choice of whether or not to have the surgery. One of the most common reasons for hysterectomy is in cases of uterine cancer. Under ideal circumstances, the tumor is simply removed with minimal damage to the uterus. However, tumors which have metastasized excessively may render much of the uterus unsalvageable. In these cases, a hysterectomy may be performed in order to stop the cancer’s spread and preserve the woman’s life. Women who bleed too heavily during their period may also be appropriate candidates for having their uterus removed. Many women try to stop this excessive burden with less invasive remedies, but to no avail. If left untreated, heavy bleeding will eventually lead to weakness, fatigue, and anemia. When nothing else is working, a doctor may recommend a therapeutic hysterectomy. The uterus is a system dense with blood vessels. Should the blood supply to the tissues cease or become restricted, they can atrophy and die. This opens up a serious risk of developing an infection such as gangrene. In these cases, removal may be the best choice. What are the Complications of Hysterectomies? A hysterectomy carries much the same risks associated with any other major or invasive surgery. These include serious infections, bowel obstructions and perforations, blood clots, hemorrhage, severe pain, adhesions, bladder perforations, anemia and urinary tract damage. While many of these problems can be remedied quickly and easily, complications such as bowel obstructions and blood clots could prove to be life-threatening. A woman who has had a hysterectomy and is experiencing complications from the surgery is recommended to contact a competent medical malpractice attorney. 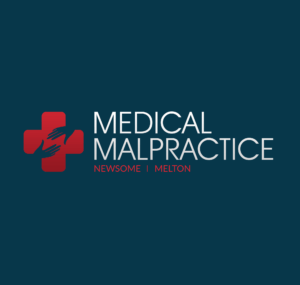 Such complications may have arisen due to surgical malpractice and an attorney can provide information and guidance in seeking damages.